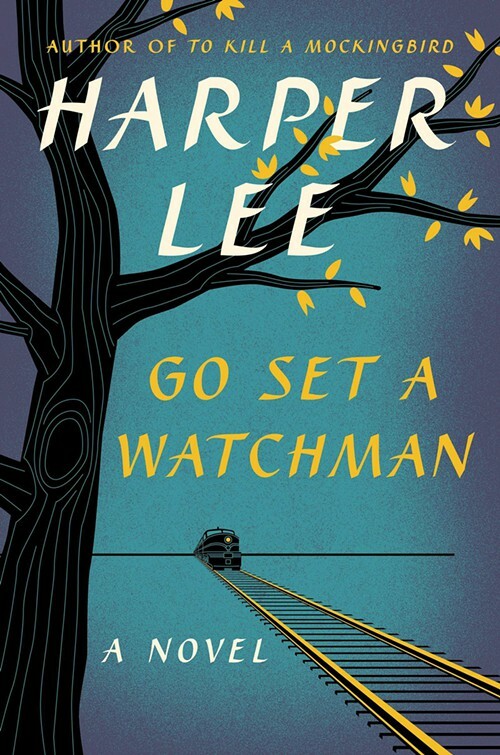 Harper Lee’s “Go Set a Watchman” Available at Pelican Bookstore! We’ve got plenty of copies of Harper Lee’s “Go Set a Watchman” in store. They’re selling for $28 everywhere else, but we’re running a sale $21.95 for a copy! Harper Lee’s Go Set a Watchman takes place in Maycomb, Alabama when Twenty-six-year-old Jean Louise Finch—”Scout”—returns home from New York City to visit her aging father, Atticus. Set against the backdrop of the civil rights tensions and political turmoil that were transforming the South, Jean Louise’s homecoming turns bittersweet when she learns disturbing truths about her close-knit family, the town, and the people dearest to her. Memories from her childhood flood back, and her values and assumptions are thrown into doubt. Featuring many of the iconic characters from To Kill a Mockingbird, Go Set a Watchman perfectly captures a young woman, and a world, in painful yet necessary transition out of the illusions of the past—a journey that can only be guided by one’s own conscience. Comments Off on Harper Lee’s “Go Set a Watchman” Available at Pelican Bookstore! New Holden Beach, Ocean Isle Beach, and Sunset Beach History Book Released! New Book about the History of the South Brunswick Islands Released! 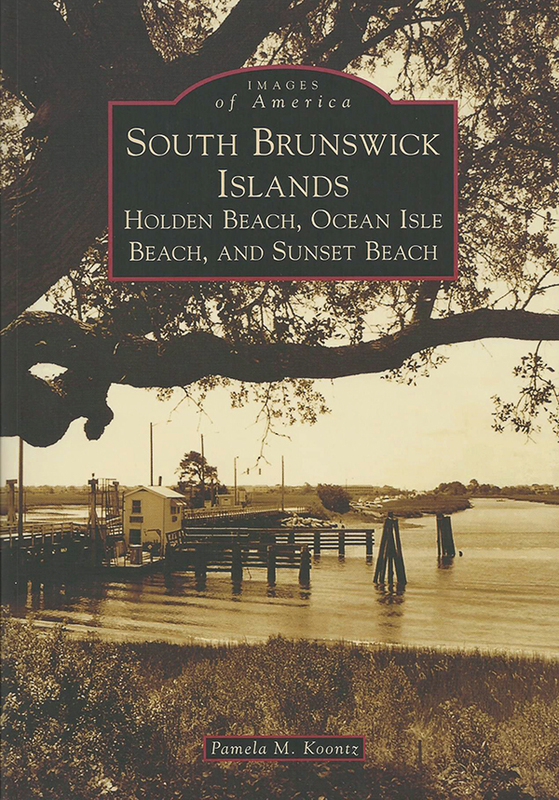 Discover the history of The South Brunswick Islands—Holden Beach, Ocean Isle Beach, and Sunset Beach—are man-made barrier islands formed when the North Carolina section of the Intracoastal Waterway was constructed between 1930 and 1940. In the late 1940s, Odell Williamson dreamed of a tranquil, family-vacation island and began buying tracts of land that would later become Ocean Isle Beach. This seven-mile-long island was incorporated as the town of Ocean Isle Beach in 1959. Mannon C. Gore envisioned the three miles of Sunset Beach as a peaceful residential community when he purchased the island in 1955. With over eight miles of oceanfront, Holden Beach is the longest and the largest of the three islands in the group. Each island boasts a unique character and has remained quiet with pristine beaches and a focus on families. Buy your copy at Pelican Bookstore! Comments Off on New Holden Beach, Ocean Isle Beach, and Sunset Beach History Book Released! Part of the reason we love Summer so much is that our favorite authors release new books and they come visit us! We are so thrilled to have these authors come each year and we can’t wait to devour their latest novels. Here are the books that will be coming out this Summer! From New York Times bestselling author Patti Henry, comes a riveting drama about the about the lengths we go to for love. Screenwriter Harper has had two flops in succession. He needs a hit and he needs it badly. Empty of any new ideas and crippled with writer’s block, he decides that he will “steal” a love story. He can’t do that in Hollywood, so he heads to the East Coast for change of scenery, some new ideas, and above all, that good love story he needs. Taking on a fake identity as a historian interested in local folklore, he interviews townsfolk under the guise of getting to know their family stories. And in Bluff, SC he meets Ella, a beautiful young woman who has lost her true love in a sailing accident; he drowned while saving her. Harper believes he has finally found his story: a love big enough to sacrifice your life for. But the thing is, Ella isn’t telling the truth. Her husband left her; she has a crappy job selling shoes, and she lost her best friend in the divorce. In desperate need of a love story herself, Ella tells Harper the story of the life she wishes she had, and in the process, starts acting like the woman she wishes she’d always been. Whenever Ella tells Harper more of the made-up version of her life—her idea of love—she thinks, “one more time.” But soon they are both too deep into the lies to get out. Add dysfunctional families, small town chaos, eccentric neighbors and exes on both sides, the knot of lies looks too tight to undo. Can two people come together for all the wrong reasons and still make it right? 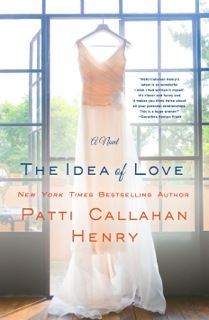 Patti Callahan Henry is a full-time writer, wife, and mother. She is a New York Times bestselling author whose novels include And Then I Found You, Between the Tides, and Driftwood Summer. Patti lives with her husband and three children in Mountain Brook, Alabama, where she is working on her next novel. The perennial New York Times bestselling author returns with an emotionally resonant novel that illuminates the power of friendship in women’s lives, and is filled with her trademark wit, poignant and timely themes, sassy, flesh-and-blood characters, and the steamy Southern atmosphere and beauty of her beloved Carolina Lowcountry. 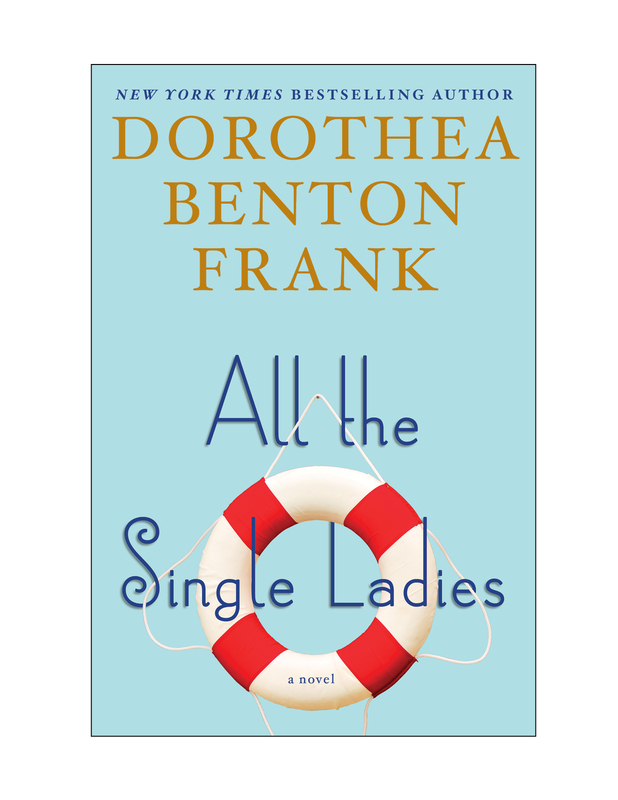 Few writers capture the complexities, pain, and joy of relationships—between friends, family members, husbands and wives, or lovers—as beloved New York Times bestselling author Dorothea Benton Frank. In this charming, evocative, soul-touching novel, she once again takes us deep into the heart of the magical Lowcountry where three amazing middle-aged women are bonded by another amazing woman’s death. Through their shared loss they forge a deep friendship, asking critical questions. Who was their friend and what did her life mean? Are they living the lives they imagined for themselves? Will they ever be able to afford to retire? How will they maximize their happiness? Security? Health? And ultimately, their own legacies? A plan is conceived and unfurls with each turn of the tide during one sweltering summer on the Isle of Palms. Without ever fully realizing how close they were to the edge, they finally triumph amid laughter and maybe even newfound love. Dorothea Benton Frank was born and raised on Sullivan’s Island, South Carolina. She divides her time between the New York area and the Lowcountry. She is the author of the bestselling novels: Sullivan’s Island, Plantation, Isle of Palms, Shem Creek, Pawleys Island, Full of Grace, The Land of Mango Sunsets, The Christmas Pearl, Bulls Island, Return to Sullivan’s Island, Lowcountry Summer, Folly Beach, Porch Lights, and The Last Original Wife. 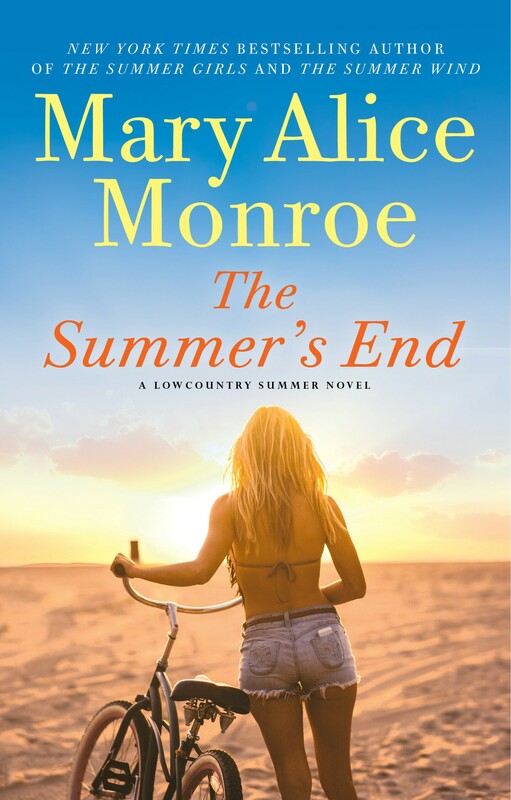 Nature is the lifeblood of Mary Alice Monroe novels, and fans of her bestselling Lowcountry Summer Trilogy will soon enjoy reading the powerful conclusion, The Summer’s End, on sale May 19th. Rooted in the charming seaside town of Sullivan’s Island, South Carolina, summer is ending and Mamaw’s beloved family estate, Sea Breeze, must be sold. It’s an emotional season as Mamaw and the three half-sisters each face loss and struggle to find a fresh start in life. Harper, the youngest sister, who lived under the narcissistic abuse of her wealthy and influential mother, has no home or career after breaking free of her mother’s tyranny. With summer’s end fast approaching, Harper must find the courage to release her insecurities, recognize her strengths and accept love fully to save her family and her future. Each book in the trilogy focuses on one of the three estranged half-sisters (Harper, Carson, and Eudora) spending a final summer at their grandmother’s seaside home. A wild dolphin they name Delphine serves as the trilogy’s keystone and all of their lives are changed by this creature. Throughout the series, Monroe expertly raises awareness about the threats facing bottlenose dolphins, while engaging readers with a story that explores contemporary human and moral issues. Described as “the canary in the coal mine,” the New York Times bestselling author’s conservation convictions add richness and meaning to her novels. Monroe’s modus operandi before writing a novel involves hands-on research. For this trilogy, Monroe worked with researchers through The National Oceanic Atmospheric Association (NOAA) in Charleston, SC and volunteered at the Dolphin Research Center in Grassy Key, FL. Mary Alice Monroe is the author of nearly two dozen novels, several non-fiction titles, and children’s books. Her body of work reflects her commitment to the natural world through literature. Monroe has served on the faculty of numerous writer’s conferences and retreats. She is a featured speaker at events, both literary and conservation. Comments Off on Summer Book List! 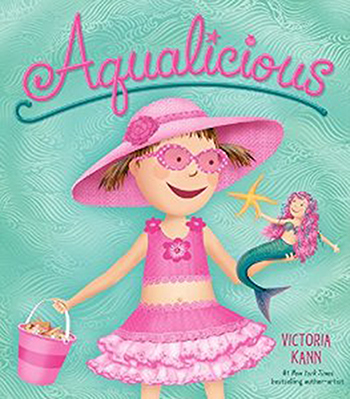 What a great gift for a child, from author Victoria Kann, who also wrote Goldilicious! Comments Off on Great Kid’s Book Pick! It’s cold outside, so stay inside with a great book! 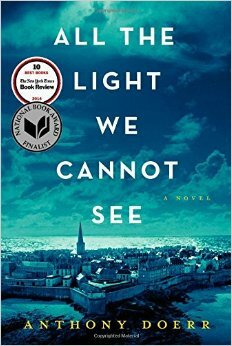 All you’ve heard about the book “All the Light We Cannot See” by Anthony Doerr is true. It’s a really a good story with wonderful writing! We highly recommend this book for a cold weekend treat. 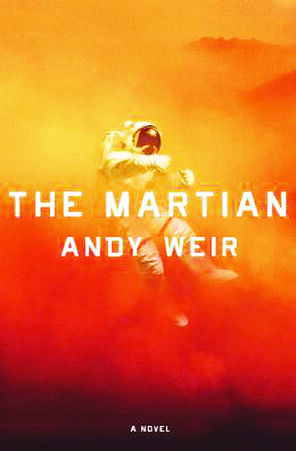 And for the best read on interplanetary travel that has been written in years, try “The Martian” by Andy Weir. We loved it. 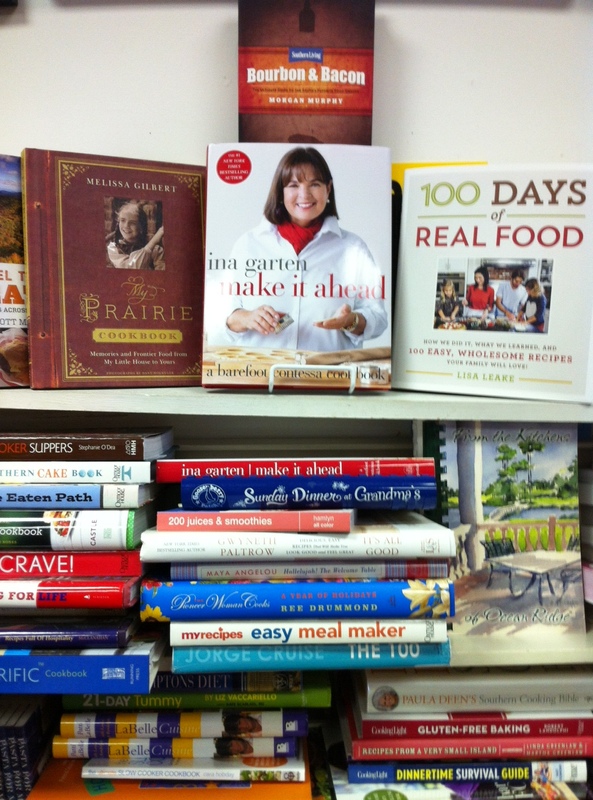 Cook Books for the Holidays! We have all of the recipes you’ll need for cooking and entertaining this holiday season. 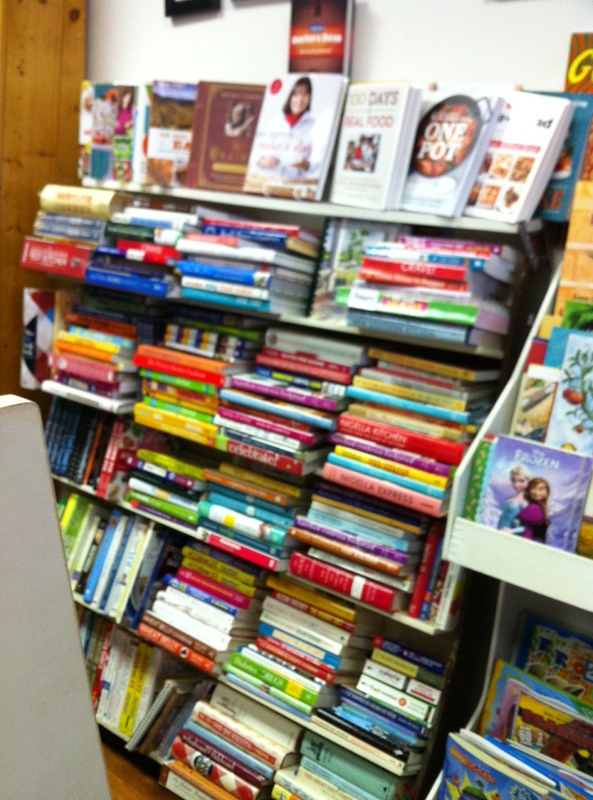 We’ve got books on special dietary needs, watching your weight recipes, and inventive holiday cooking! Stop by the store and really wow your guests this year! Comments Off on Cook Books for the Holidays! 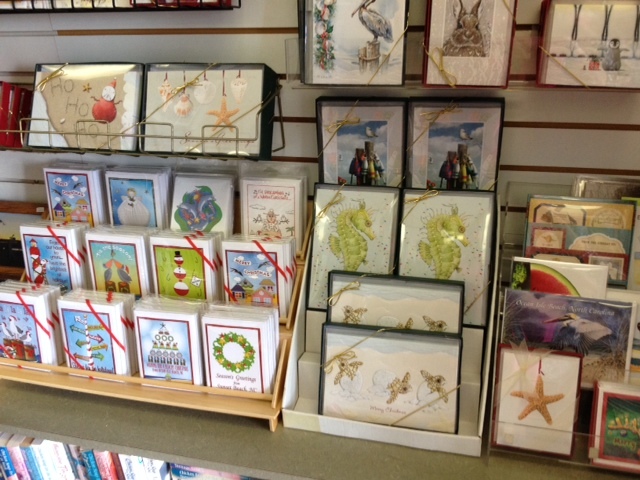 Christmas cards have arrived! Beachy beautiful! Get your holiday season started now! Comments Off on Christmas Cards are Here!